Courtesy of Kuper Sotheby’s Int’l Realty, Rick Kuper. Italian style estate dramatically set on a tropical lot exudes authentic expression in architectural elements. Find plaster walls,dramatic ceilings,wine room,steam showers,exercise room,Italian Travertine and Mesquite floors,three level elevator.Marvelous styles of woodwork and stone treat windows,doors and fireplace mantels.Stately master suite is a paradise.Spectacular outdoor kitchen and pool area. Private two story guest house. Under the massive clay roof,find your ultimate lifestyle within the gates. 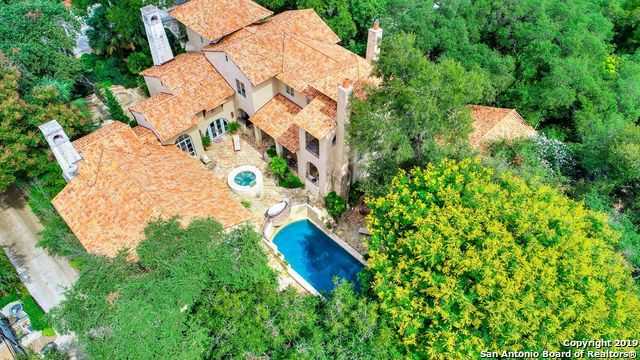 Please, send me more information on this property: MLS# 1369804 – $3,900,000 – 734 College Blvd, Alamo Heights, TX 78209. I would like to schedule a private showing for this property: MLS# 1369804 – $3,900,000 – 734 College Blvd, Alamo Heights, TX 78209. © 2019 Help-U-Sell San Antonio Hill Country. TX DRE #561988 All Rights Reserved. Texas Real Estate Commission Consumer Protection Notice. Texas Real Estate Commission Information About Brokerage Services. Real Estate Website Design powered by Home Junction.